Can’t believe it’s that time of year again! Yeah, we know we say that every Thanksgiving. It’s because every year seems to go faster than the previous one and catches us a little off balance. We’re not complaining, though, because frankly, we love Thanksgiving! It’s an opportunity for us not only to entertain our family and friends with the traditional Thanksgiving dinner, but also to surprise and entertain them with a dish they haven’t had before. This Thanksgiving is no different. 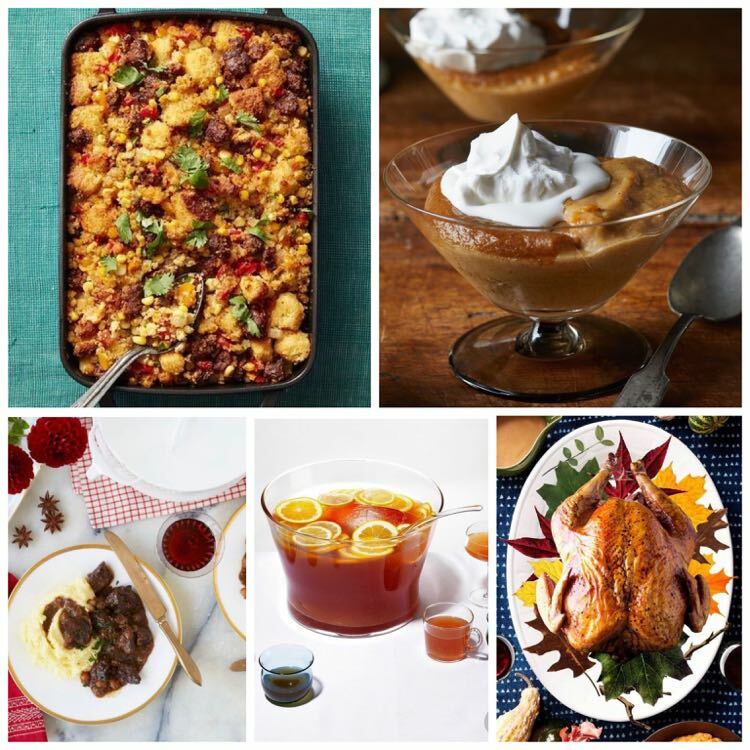 We discovered delicious recipes for your main course, side, dessert, and drink that will give your guests a mouth-watering experience and leave them asking for more. See how to video below. Want to discover more recipes? Visit our Pinterest Food & Drink Board by clicking on the image below. With nearly 200 recipes curated over 5 years, you’re sure to find something that appeals to your palette! Being alive and well – it’s easy to take this one for granted but when you think of the loved ones you or your friends have lost throughout the year, you’re reminded of how much it matters. This year, I lost my aunt and uncle, the latter unexpectedly. It reinforced life’s fragility and the importance of never taking it for granted. Let’s take a moment to acknowledge that we’re alive and lucky to enjoy another day. Our family and friends – I really couldn’t get through the year without the support of my family and friends, especially my older sister, mom, two beautiful daughters, and friend, Ana. Everyday, I’m thankful that they’re my allies, love me unconditionally, and a constant in my life. Our livelihood. Here’s another one that’s easy to take for granted. Not everyone gets to live comfortably and have the essential things needed to survive – have a roof under their heads, enough to eat, play, and thrive. Some are trapped in war zones, while others are sick or remain in poverty. We’re thankful everyday for the basic things we get to enjoy. Published 12 posts throughout the year. This may seem like a small number to celebrate but we’re happy we were even able to do as much. Our goal for the year was 1 post per month because we understood how hectic life was going to be. We’re grateful we were able to achieve our objective and exceed it by a couple of posts. By end of year, we’re hoping to make that 5 posts for a total of 17 posts! Celebrated our 5 year blog Anniversary! It’s unbelievable we’ve been able to keep our blog alive and well for this long. It’s not always been easy but we’ve persisted. Please look out for our Anniversary post, which we plan to share with you before years end. Grew our blog readers and fans. We continue to expand our gapmuse family! Whether it’s here on our blog or on our social media networks, we continue to add new members to our community. This year, we’re also proud to have added our Facebook group, gapmuseWomen, a place for women to connect, collaborate, engage, and thrive! At 89 women strong, we hope to continue to grow this community because we believe in sisterhood and the power of supporting one another. Join us. We’d be thrilled to have you! Overall, we’re grateful for all the experiences we’ve had – both good and challenging – because they’ve enriched us, made us stronger, and allowed us to continue to grow and evolve. But most of all, we appreciate you, our blog readers and fans, who continue to support us, read, share and like our posts. You have inspired us to keep this blog alive even when it seemed sometimes impossible. We hope you’ve been inspired as much as it has empowered us. As we prepare to celebrate Thanksgiving, we can’t help but think of the folks in California who have been impacted by the Camp Fire and lost everything. Click here if you want to know how you can help. ← Want to connect, collaborate, engage, and thrive? join gapmuseWomen today!